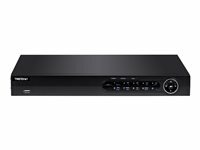 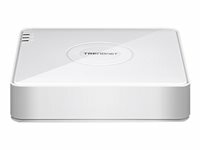 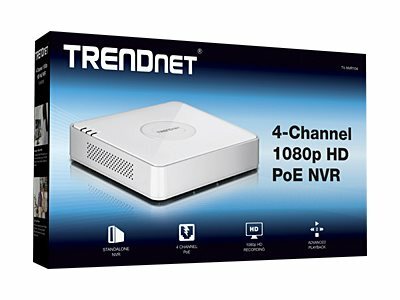 TRENDnet's standalone 4-channel 1080p HD PoE NVR, model TV-NVR104, offers a comprehensive video display, storage, and management solution. 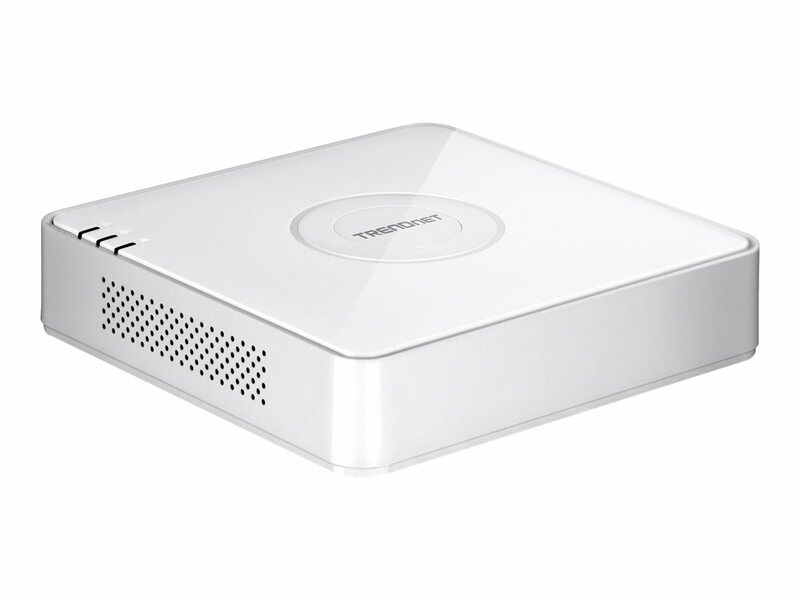 The NVR networks and powers up to four PoE cameras and auto-recognizes select TRENDnet cameras. 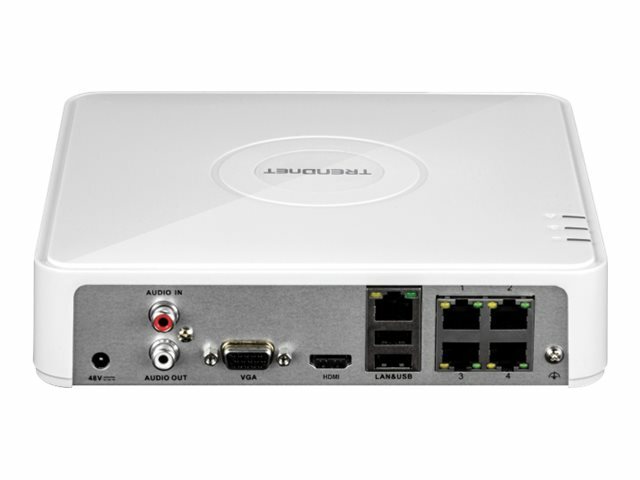 Install hard drive to record over three weeks of continuous video from Full 1080p PoE cameras. 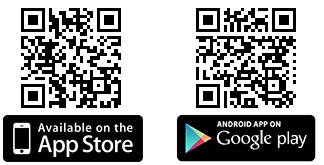 Quickly review and export archived video with advanced playback. 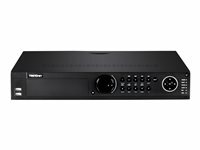 This standalone 1080p HD NVR supports up to a 6 TB hard drive and powers up to four PoE network cameras-hard drive, cameras, and display sold separately.